The perfect choice for just about any Medieval knightly outfit. Extra long 178cm belt made from heavy grade leather. 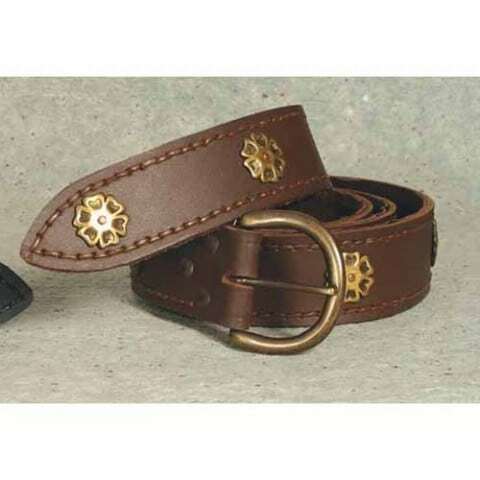 Beautifully accented with accented brass roses and heavy duty buckle.